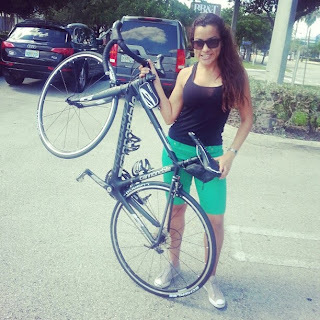 2013 full carbon 48cm Cannondale SuperSix stolen from in front of Smoothie King in Brickell around noon today (7/6). The bike was on a car rack when two teens were seen removing it from the vehicle and fleeing. The bike is black/gray and has Shimano 105 components, serial #km7432. Please contact Yeli at (786) 302-1970 if you have any information. You can contact me at my phone number 7863021970 or my email yelineth@hotmail.com yelitriana@gmail.com. the bike was stolen at noon yesterday in front of smothie king (south miami ave).